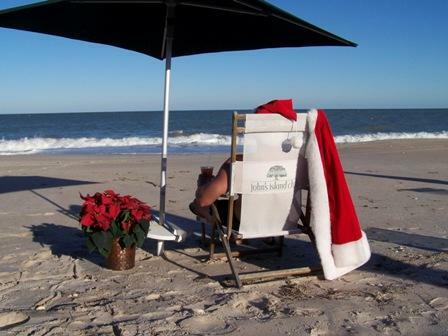 Santa's not ready to leave the beach just yet. Can you blame him? It's been exactly eight months since this blog began its post-holiday hiatus, and with just 112 days left until Christmas, this last unofficial weekend of summer seems like a good time to check in and say "hi." Although I've now been out of school for more than a couple of years, Labor Day continues to stir-up that same curious mix of melancholy, dread and resolve that it did for me as a child, and now that Jerry Lewis is off the air I'm not sure I can fairly blame it on the Labor Day Telethon at this point. There's something poignant about the end of summer somehow, and those feelings persist regardless of how one spent any particular season or whether it was a boom or bust. 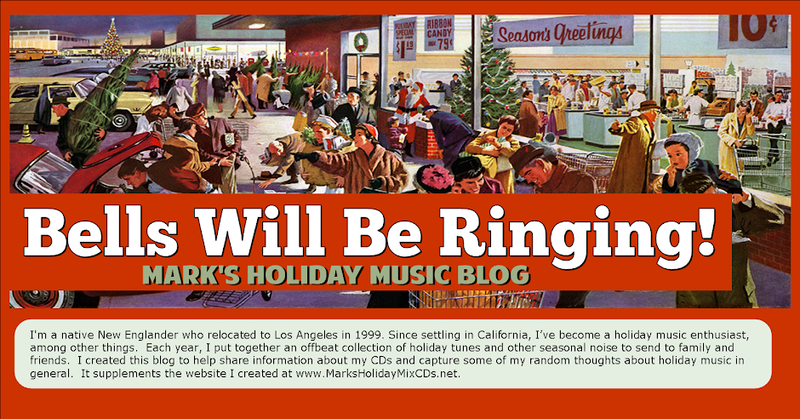 Happily, I've always been one of those people whose processed memories are rose-colored, and I'm grateful for my ability to find great joy in the simplest of things -- for example, holiday music! And, yes, I'm happy to report that I've already put together around 25 tracks for this year's CD, including a couple of honest-to-goodness monstrosities that will destroy whatever visions of sugarplums might otherwise dance in your heads this season. More on all that, of course, sometime in December. The second clip features the rarely played but beautiful "Drive All Night," performed in Gothenburg, Sweden. What do the Springsteen clips have to do with Christmas? Not so much, really. But they both make me happy, and I wish the same for you, too. See you in a few weeks, and Happy Labor Day, everybody!